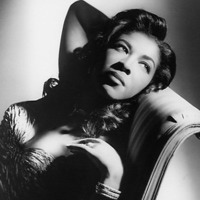 Natalie Maria Cole (born February 6, 1950), better known as Natalie Cole is an American singer, songwriter and performer. The daughter of jazz legend Nat King Cole, Cole rode to musical success in the mid-1970s as an R&B artist with the hits "This Will Be (An Everlasting Love)", "Inseparable" and "Our Love". After a period of failing sales and performances due to a heavy drug addiction, Cole reemerged as a pop artist with the 1987 album, Everlasting, and her cover of Bruce Springsteen's "Pink Cadillac". In the 1990s, she re-recorded standards by her father, resulting in her biggest success, Unforgettable... with Love, which sold over seven million copies and also won Cole numerous Grammy Awards.